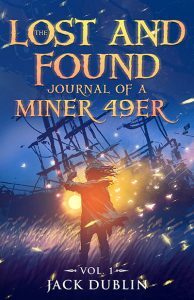 Jack Dublin is the author of The Lost and Found Journal of a Miner 49er series. Volumes 1 & 2 are collections of Christian-themed short stories for ages 8+. Mr. Dublin lives in parts unknown with his beloved bride, their four darling children, and a fancy bearded dragon.